While we do know the magnetic field of our planet is not one that stays the same, the more we’re learning about it the more we realize we do not know much of anything about it. Lately, our magnetic field has been acting quite different and many are unsure of what this could mean. 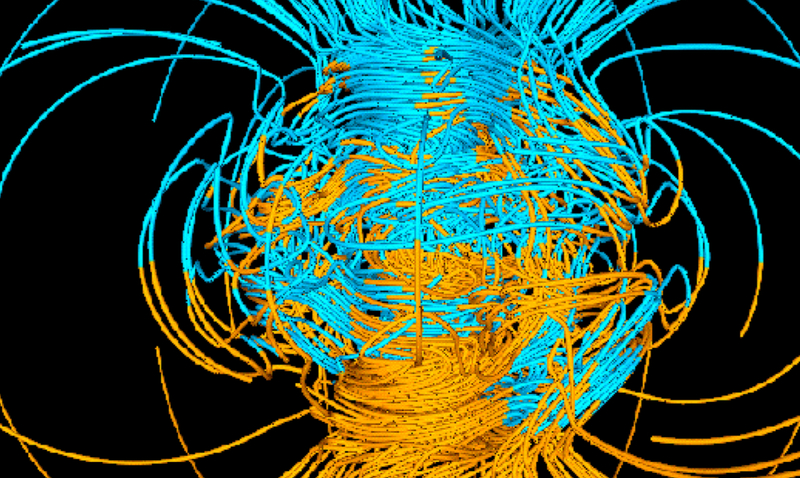 Currently, the behavior of our magnetic field has become quite ‘erratic.’ A report posted in the journal Nature has noted just how strange the things happening right now are. You see, our north magnetic pole has been skittering away from Canada and moving more towards Siberia. According to the report, in early 2018 researchers from NOAA as well as the British Geological Survey in Edinburgh realized that the World Magnetic Model was not as accurate as it should be. It was so inaccurate that it was about to exceed the acceptable limit for navigational errors. This forced them to seriously push for change. The north magnetic pole in mid-2018 crossed the International Date Line and moved into the Eastern Hemisphere. Scientists are currently working to better understand why the magnetic field is changing so drastically but do not have answers just yet. This kind of ordeal could be driven by a number of things. Second, the motion of the north magnetic pole made the problem worse. The pole wanders in unpredictable ways that have fascinated explorers and scientists since James Clark Ross first measured it in 1831 in the Canadian Arctic. In the mid-1990s it picked up speed, from around 15 kilometers per year to around 55 kilometers per year. By 2001, it had entered the Arctic Ocean — where, in 2007, a team including Chulliat landed an airplane on the sea ice in an attempt to locate the pole. You see, Earth’s magnetic field is created by molten iron in its core and that situation in itself is one full of chaos. This is a very serious issue as we use the magnetic fields for navigation. Without magnetic fields, even compasses would fail to work. The more off-kilter the magnetic fields of our world are the more ‘lost’ we might end up. Considering in the past the poles have literally managed to switch and are overdue for such again, we can only hope to better understand the things to come. While you might not be affected by this just yet, if it continues forth you will be. What do you think could be driving this? I for one cannot wait to hear what the scientists working closely with the situation end up discovering.